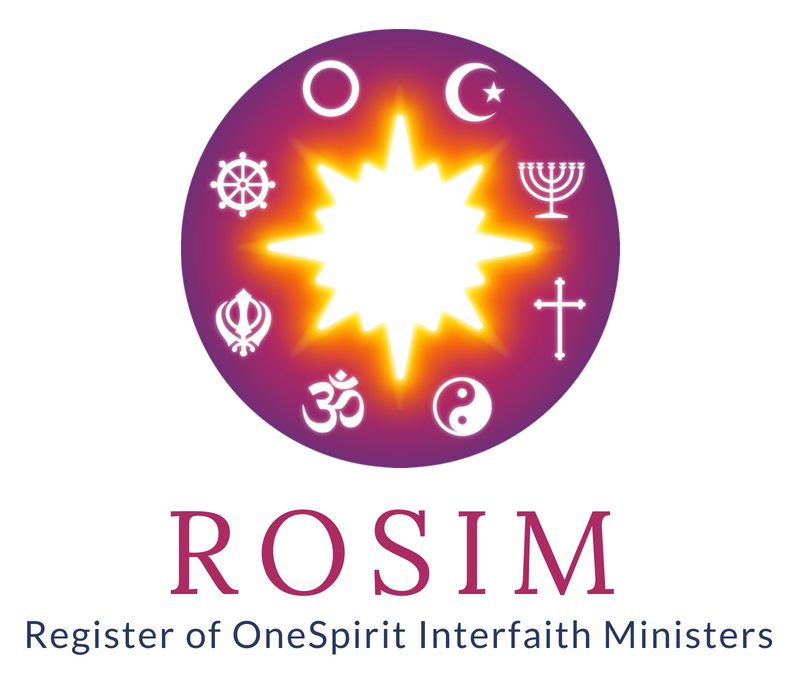 The Register of OneSpirit Interfaith Ministers (ROSIM) is a professional register of OneSpirit graduate ministers seeking accreditation and support from OneSpirit Interfaith Foundation as the organisation from which they graduated. We, the Foundation, are committed to supporting this register, for as long as there are enough members to make it viable. Previously known as the Registered Interfaith Ministers Association (RIMA), our aim is to develop ROSIM as a cohesive and robust professional register in line with the wishes of its members. Our aims are threefold: to help raise the profile of those ministers in public-facing roles, building public confidence through the existence of a professional body to whom those ministers are accountable. Secondly, offering an opportunity for all graduates to act on their support for and affiliation with OneSpirit, as an organisation they believe in. Thirdly, ROSIM membership is also significant in the context of legal weddings in Northern Ireland, Scotland and the Republic of Ireland, where ministers need approval from authorising bodies. and agreeing to abide by OneSpirit’s conflict resolution and complaints procedures.